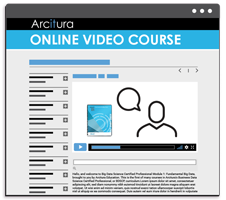 Arcitura Education offers on-line access to official course and exam preparation materials via digital eLearning Study Kits. Electronic course materials are further supplemented with self-study resources, such as flash cards, posters, self-study guides and media content, including audio tutor recordings from Certified Arcitura Trainers. 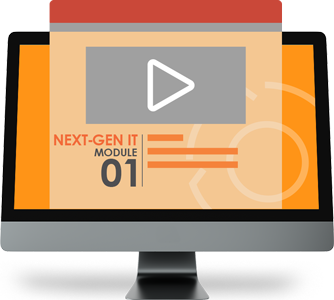 eLearning study enables IT professionals to progress through and reference course materials and supplements in a highly flexible manner, at just about any location and at a study schedule adaptable to their preferences and convenience. eLearning Study Kits provide on-line access to course materials, whereas printed Study Kits provide full-color printed course materials. 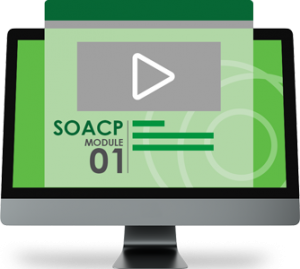 Some fundamental eLearning Study Kits further include an online video version of the course module with interactive exercises. For courses that introduce supplemental reading exercises, printed Study Kits usually include the associated text book(s), whereas with eLearning Study Kits these text books are offered as optional add-ons. Both eLearning Study Kits and printed Study Kits can be purchased as part of specific bundles that offer sets of kits at a 20% bundle discount. For each printed Study Kit, the corresponding eLearning Study Kit can be purchased at a discount, as an add-on. For each printed Study Kit bundle, the corresponding eLearning Study Kit bundle can be purchased at a discount, as an add-on. eLearning Study Kits are purchased as on-line subscriptions. The duration of a single eLearning Study Kit subscription 3 months. For a three-kit bundle, the subscription duration is 6months and for a five-kit bundle, the subscription duration is 1 year. Printed Study Kits may be subject to shipping and customs fees, depending on the shipping destination. eLearning Study Kits are not subject to such fees and access is provided within one business day of purchase. Understanding which medium is most suitable to fulfill your training and accreditation objectives is an important consideration. To learn more about available eLearning Study Kits and eLearning Study Kit Bundles, visit the school eLearning pages to the right. Select fundamental eLearning Study Kits also include a bonus online video course subscription comprised of a series video chapters and interactive exercises. 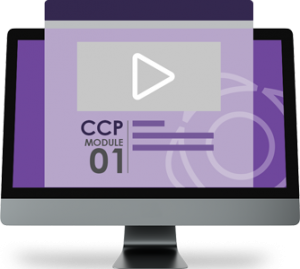 The online video course organizes topics into a series of video chapters that can be individually played and further provides a rolling transcript of the video, synchronized to highlight text that corresponds to the instructor’s teachings. The interactive exercises are interspersed between the video chapters and can be individually invoked. Upon purchase of the eLearning Study Kit subscription, access to the online video course is provided immediately.